Fire extinguisher recharge is needed immediately after the use of a fire extinguisher. A Fire Extinguisher will need fire extinguisher recharge if the fire extinguisher was accidentally discharged due to dropping or bumping the fire fire extinguisher handle or head, or if the fire extinguisher was discharged in the use to put out a fire. Fire Extinguisher recharge should only be performed by a professional fire protection service company such as FESCO Fire Extinguisher Service Company, LLC. Do not attempt recharge a fire extinguisher or fire extinguisher recharge if you are not a trained professional fire extinguisher recharge technician. 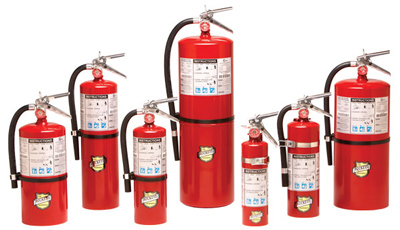 Fire extinguishers are recharged using a fire extinguishing powder specific for the particular type of fire extinguisher and a fire extinguisher recharge gas such as Nitrogen. Some fire extinguisher recharges are performed using Carbon Dioxide. These are CO2 type fire extinguishers. For Fire Extinguisher Recharge and Service Please Contact Us.